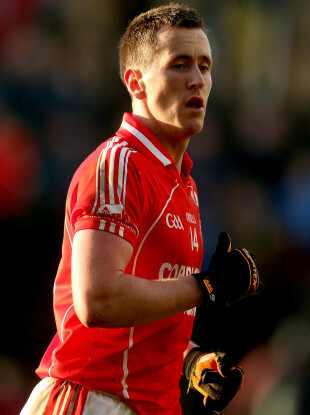 0-4 and a red card for Cillian O'Connor tonight. DESPITE CILLIAN O’CONNOR being sent-off, 2014 champions Ballintubber booked their place in Sunday’s Mayo senior football championship semi-final with a six point win over Hollymount-Carramore in tonight’s quarter-final replay. The west Mayo men had to see out the final 15 minutes of the game without O’Connor after he was booked for a second time and was shown a red card after, much to his disbelief by referee Liam Devanney. But given he received two yellow cards, O’Connor will be clear to play in the last four stages which is a major boost to Ballintubber, who have three title wins to their credit since 2010. Ballintubber were leading by three points at that stage thanks to a brilliant start to the second half where they reeled off five unanswered points from the restart through two from O’Connor along with efforts from Conor Finnerty, Padraig O’Connor and Michael Plunkett. After going down to 14 men the next score was going to be crucial and it came from the experienced boot of Alan Dillon to calm the nerves and keep his side more than a goal in front. Dillon finished up the night with five points to his name and put in a good showing when it really mattered. The first half of the game was a rip-roaring encounter with Hollymount-Carramore going at Ballintubber from the off, with Roberty Molloy and Nathan Moran causing the Ballintubber defence all kinds of problems. Molloy hit the only goal of the game six minutes before the break, holding off his man to win a long high ball inside and rounding the keeper before he bundled it over the line. That goal edged the south Mayo men in front for the first time in the game and they added two more points from Molloy and Kevin Ferrick to go in leading 1-6 to 0-7 at the break, with Cillian O’Connor responding with two of his own for Ballintubber. However, it was Ballintubber who came out the sharper in the second half with Jason Gibbons bossing the midfield sector giving his side the platform to build their lead on. Ballintubber now face a quick turn around, as they face Claremorris who caused a major upset beating Breaffy last weekend in the semi-final on Sunday. Scorers for Ballintubber: Alan Dillon 0-5 (0-1f), Cillian O’Connor 0-4 (0-2 ’45, 0-1f), Conor Finnerty 0-3, Diarmuid O’Connor 0-2, Padraig O’Connor, Michael Plunkett, Damien Colaman, Alan Plunkett 0-1 each. Scorers for Hollymount-Carramore: Darren Coen 0-4 (0-3f), Kevin Ferrick 0-3 (0-1f), Nathan Moran 1-0, Robert Molloy 0-2. Email “O'Connor sent off but 0-9 from him and Dillon put Ballintubber into Mayo senior semi-finals”. Feedback on “O'Connor sent off but 0-9 from him and Dillon put Ballintubber into Mayo senior semi-finals”.